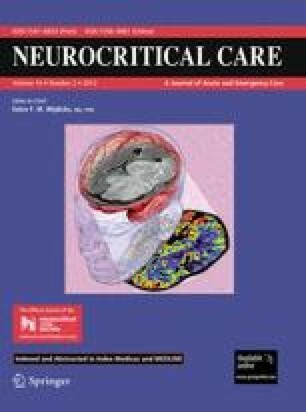 Apolipoprotein E has previously been demonstrated to modulate acute brain injury responses, and administration of COG1410, an apoE-mimetic peptide derived from the receptor-binding region of apoE, improves outcome in preclinical models of acute neurological injury. In the current study, we sought to establish the optimal dose and timing of peptide administration associated with improved functional outcome in a murine model of intracerebral hemorrhage (ICH). Ten to twelve-week-old C57/BL6 male mice were injured by collagenase-induced ICH and randomly selected to receive either vehicle or one of four doses of COG1410 (0.5, 1, 2, or 4 mg/kg) via tail vein injection at 30 min after injury and then daily for 5 days. The injured mice were euthanized at various time points to assess inflammatory mediators, cerebral edema, and hematoma volume. Over the first 5 days following injury, vestibulomotor function was tested via Rotorod (RR) latency. After an optimal dose was demonstrated, a final cohort of animals was injured with ICH and randomly assigned to receive the first dose of COG1410 or vehicle at increasingly longer treatment initiation times after injury. The mice were then assessed for functional deficit via RR testing over the first 5 days following injury. The mice receiving 2 mg/kg of COG1410 after injury demonstrated reduced functional deficit, decreased brain concentrations of inflammatory proteins, and less cerebral edema, although hematoma volume did not vary. The improved RR performance was maintained when peptide administration was delayed for up to 2 h after ICH. COG1410 administered at a dose of 2 mg/kg within 2 h after injury improves functional recovery in a murine model of ICH. The authors would like to thank Jessica Oddo for technical assistance. This research was made possible through grants from R43NS064651-01A1 (DJC), the American Heart Association Scientist Development Grant (MLJ), and Foundation of Anesthesia Education and Research Mentored Research Training Grant (MLJ). COG1410 was provided by Cognosci, Inc. (Research Triangle Park, NC, USA). Dr. Laskowitz served as a consultant for Cognosci, Inc., ending greater than 6 months ago. Dale Christensen served as a Research associate for Cognosci, Inc. Michael P. Vitek served as an Executive officer at Cognosci, Inc. BeiLei Lei, Hana N. Dawson, Haichen Wang, Steven Bellows, and Michael L. James declare that they have no conflict of interest.